Sleep is Key. The Ergobaby Swaddler is the safe, easy and effective way to keep your baby sleeping longer and more peacefully. Recommended by moms and medical experts alike, the Ergobaby Swaddler's innovative features help prevent your baby from startling awake while the ergonomic design allows for natural movement of baby's hips and legs. The Ergobaby Swaddler is made of soft and breathable 100% cotton knit terry. This material stretches with any movement and is great for year round comfort. The Ergobaby Swaddler is easy to use and has an innovative ergonomic design that combines several unique features to ensure your baby sleeps longer, safer and more peacefully. 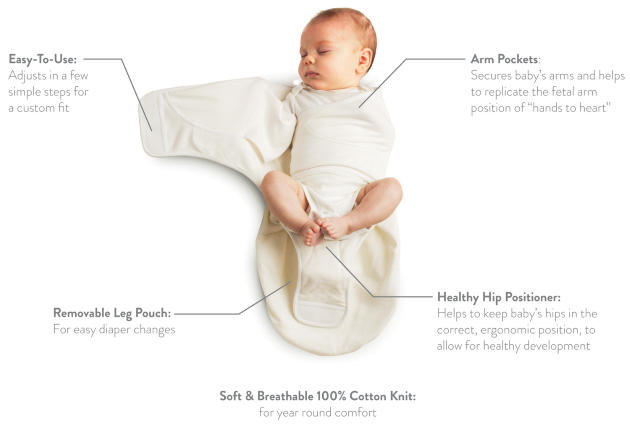 The Ergobaby Swaddler is the only swaddler to feature a patented Healthy Hip Positioner, which helps keep baby's hips in the physician-recommended, ergonomically correct "frog-leg" position, allowing for healthy hip development. Ergonomic Design – The patented Healthy Hip Positioner keeps baby's legs and hips in the proper ergonomic position. 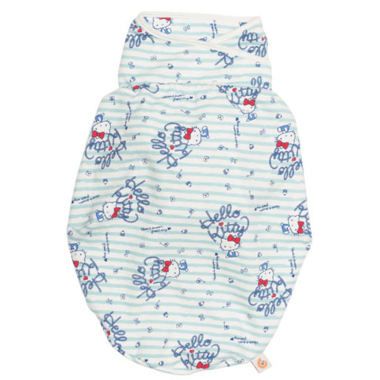 Escape Proof – Specially designed arm pockets and leg positioners keeps the Swaddler from coming undone or shifting during sleep. Easy-to-use – Ensures that baby is snug and safe in just a few simple steps. 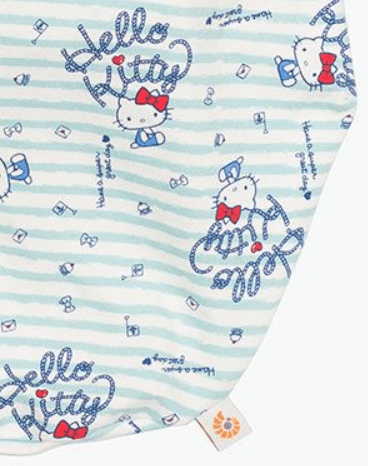 Ultimate Convenience – The design features a unique "removable leg pouch" for quick and easy diaper changes and also allows for use with harness systems commonly found in swings, bouncers, etc. Maximum Comfort – Breathable 100% cotton knit terry is soft on baby's skin and helps regulate body temperature. It is also made with premium hook and loop that is the softest and quietest on the market.